Last weekend, Kate and I were invited to a special preview Morning Tea for Santa's Magical Kingdom. The morning tea was a special sneak peek of what to expect of the main event. Set at the nicely decorated and kid-friendly Glasshouse café/restaurant in Caulfield, little ones and their parents were invited to think about Christmas with special activities - I know it's only October! The parents didn't have too much trouble getting into the festive spirit with a donut Christmas tree ha! Kids were treated to a nice Christmas story by the Snow Queen and some Christmas craft activities followed by a meet & greet of some special guests which brought mums and dads back to the 80's! 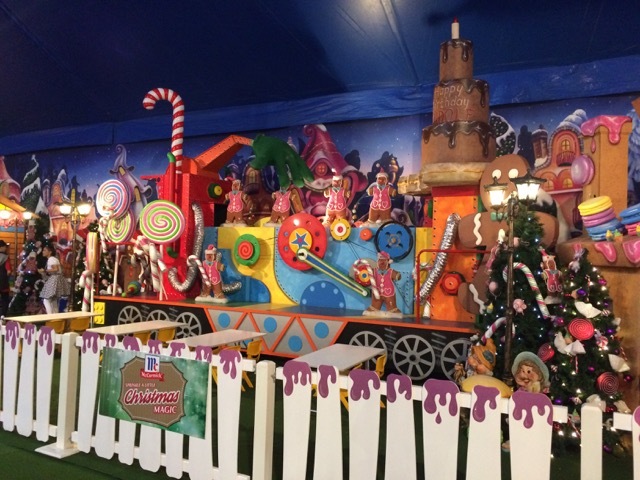 Santa's Magical Kingdom will run from Friday the 18th of November to Friday 23rd of December. Santa Claus, Mrs Claus, Rudolph and friends are once again making the trip down to Caulfield Racecourse to bring the Christmas spirit to life. This popular event will deliver a Christmas wonderland full of activities to capture children's imagination. A special Rudolph's Birthday party will be held of special days with special guests! Snow Queen will be at the magical Christmas walk-through wonderland with friends to meet and greet the children during the event. Children can meet Santa and receive a free gift as well as meet roving Christmas characters on their visit. 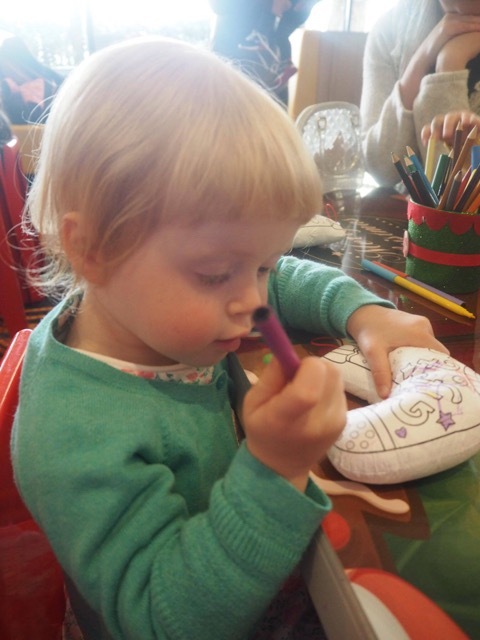 They can create their own Christmas tree decoration in the Christmas Craft Village as well as decorate their own Gingerbread man at Gingerbread Land. There will be a Letter writing area to Santa as well as storytelling from Mrs Claus as well as amusement rides and games including Santa’s Sleigh Ride, the Giant Ferris Wheel, one of the Largest Super Slide’s in the country, The Elves Magical Train Ride and more! Little Miss is not a fan of rides but we still had fun in the craft and activity areas and watching the International Christmas Spectacular show which was quite entertaining. She loved the snow in the Christmas Wonderland and eating her decorated gingerbread. 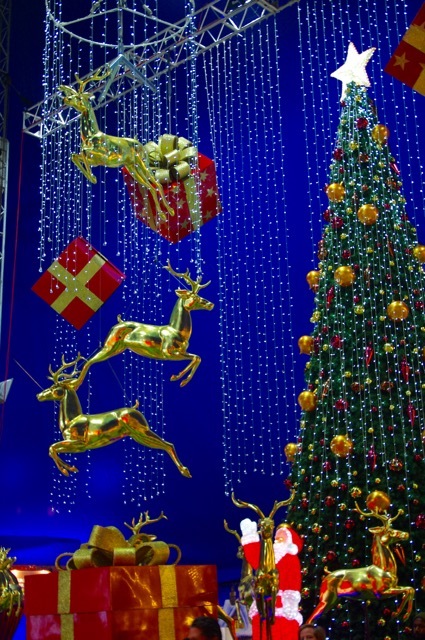 This year, a special event will take place at Santa's Magical Kingdom during the week of Monday 12th to Friday 16th of December - Rudolph's Birthday. Help celebrate Rudolph's birthday on those special days and meet and greet Trolls: Poppy and Branch (during the morning sessions)! Every child will receive a special gift and all activities are included with your Santa's Magical Kingdom ticket. Kate's little Macy was very happy to meet the Trolls at the morning tea last Saturday - so cute! To celebrate, we are giving away one family pass to Santa's Magical Kingdom to one lucky subscriber valued at $140 for the Friday 25 November 6pm session. To enter, simply drop us a quick line below and make sure you are subscribed. Entries are now open and close Monday 31st of October at 5PM AEST - good luck! 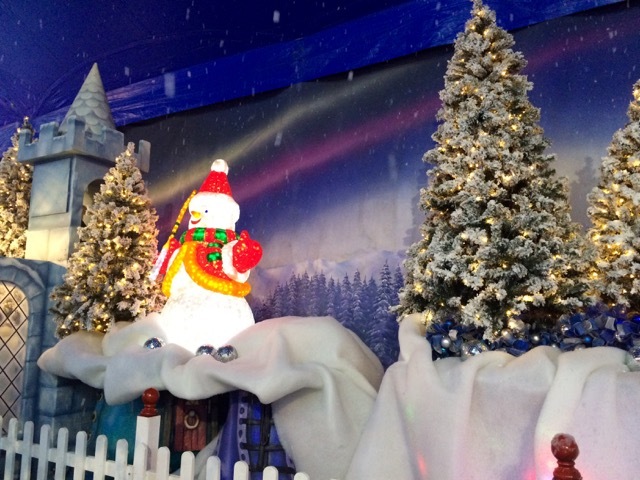 For more information on Santa's Magical Kingdom and Rudolph's Birthday, checkout their website. For more ideas of what to do with the kids in Melbourne, checkout our Daily Spots List or Blog.